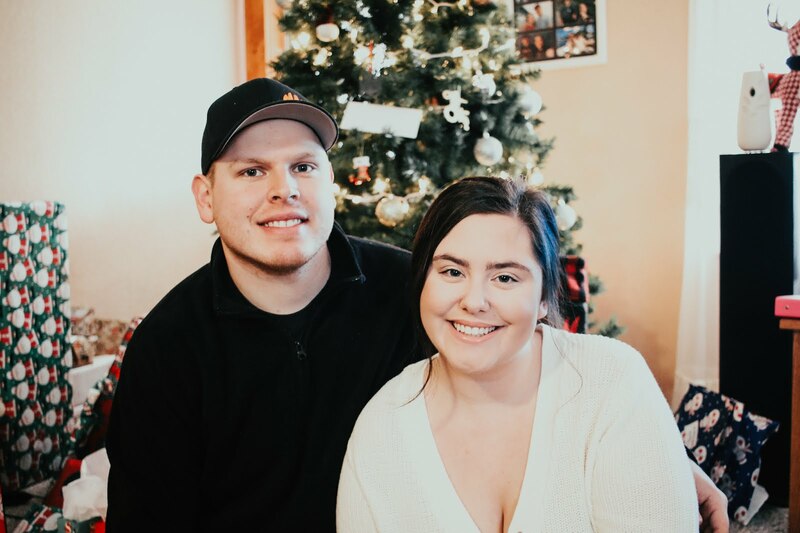 Who is excited for all the new Holiday products that have recently been released? I know I am! I am a huge sucker for all the fun packaging. 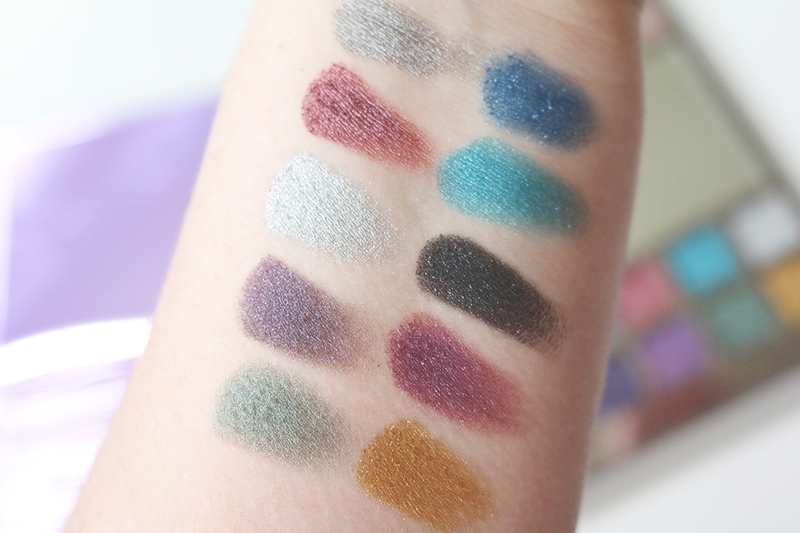 I recently received the new Urban Decay Heavy Metals collection and I have been testing out the new Heavy Metals Metallic Eyeshadow Palette, let me just say, I am in love! With this Heavy Metals collection, there is a eyeshadow palette, 13 glitter eyeliners and a lip palette. 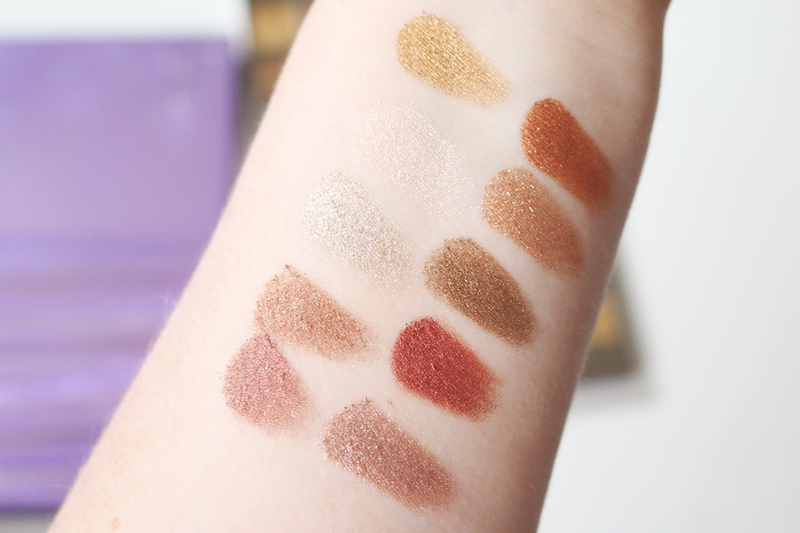 I will be talking about the palette in this post, but if you would like a review on the eyeliners or lip palette just let me know and I can do a separate post on those. 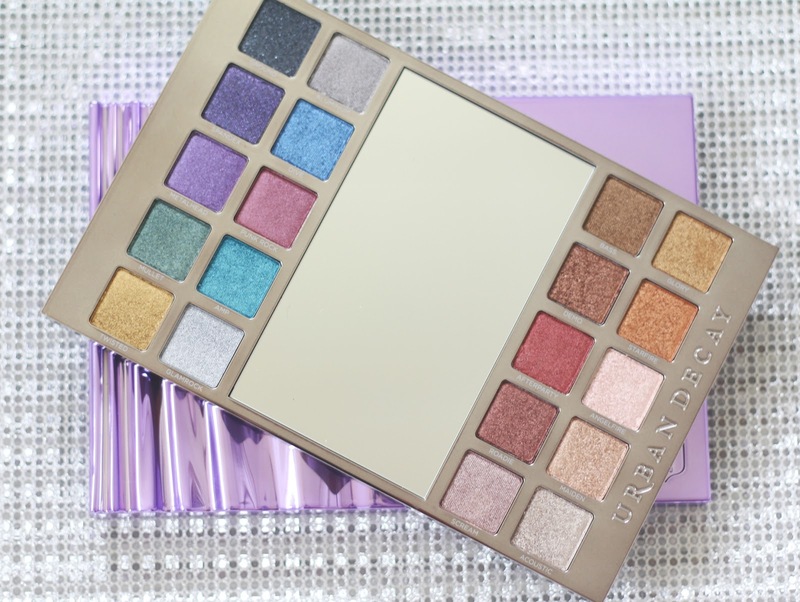 This palette comes with 20 beautiful metallic eyeshadows. 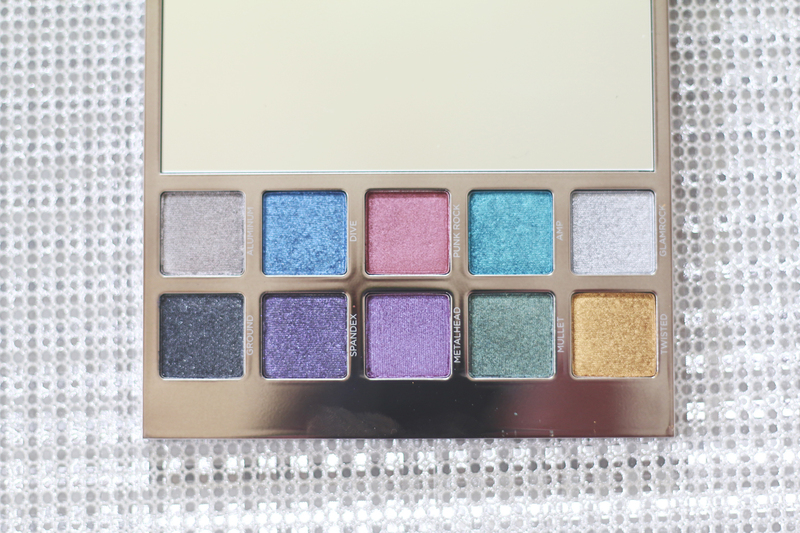 If you love sparkle, shine and glitter you are going to want to get your hands on this palette. The packaging comes in this beautiful purple case and the eyeshadows pull out and have a mirror in the middle. 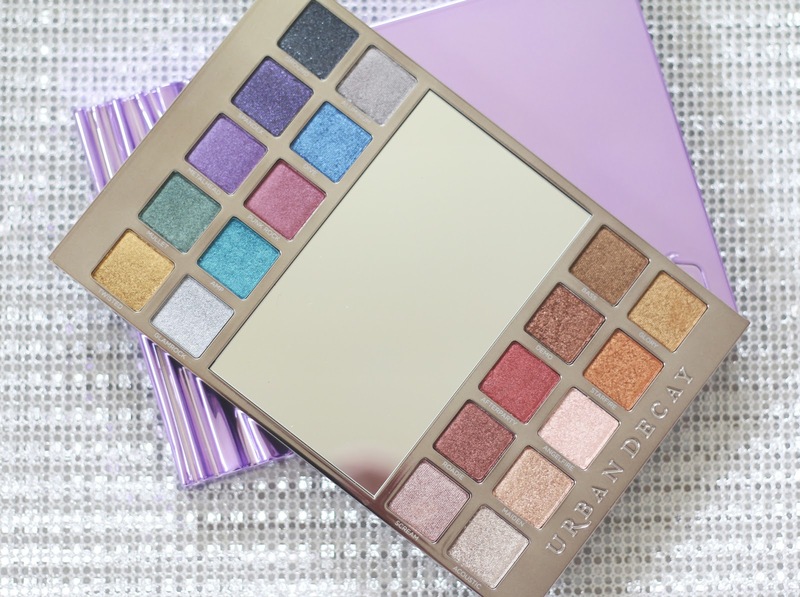 I was so surprised to see a mirror in the middle of the palette because I have never seen a eyeshadow palette like that before. I find it very unique. The palette has a mix of neutrals and bright colors. Lets move onto the shade names and the swatches. I will go from left to right from the swatches below. I seriously love all the names of these shadows because I am huge into rock music and all of these shade names reminds me of going to a bunch of rock concerts. I feel like this palette was made for me. With the shadows, Urban Decay came out with a whole new formula. It has high intense pigmentation and they are very smooth and blend really good. You don't even need any fix+ with these shadows to get the amazing metallic look. 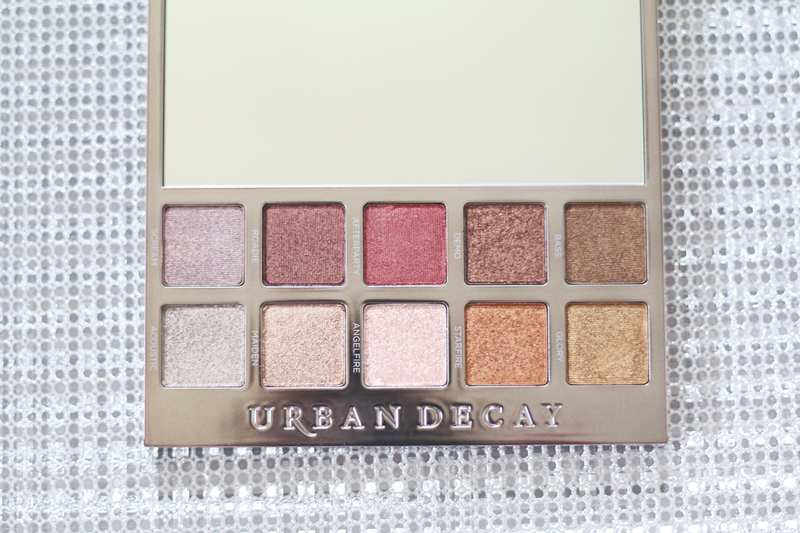 I love how creative this palette is and I highly recommend checking it out. It is limited edition, so if you are looking to get your hands on it, I would do so before it is gone for good. I am so excited to have this palette in my collection. It retails for $55.00 and can be found at www.ultabeauty.com. This post contains affiliated links. I may receive compensation if you click on a link or purchase from a link.